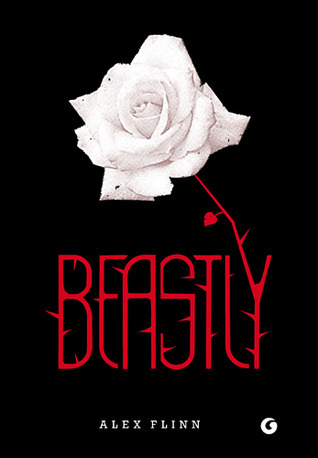 Alex Flinn modernizes the classic Beauty and the Beast tale in her novel, Beastly. I've been wanting to read this for a quite some time, probably since the movie adaptation came out. It definitely lived up to my expectations. Kyle Kingsbury is the main character of this fairy tale. He's the guy that everyone secretly, or not so secretly, hates. He's snooty, selfish, and knows he's attractive. The worst combination ever. He's also cruel to those he sees as below him. Until the witch that is. Then Kyle becomes a spell induced beast who can no longer rely on his looks and his money to get through life. Kyle then changes his name to Adrian King. But his name isn't the only thing that changes, obviously. He becomes caring, kind, and thoughtful and begins to realize his own potential. Readers will no doubt dislike Kyle Kingsbury, but they will come to love Adrian King. Though it's difficult to relate to a beast, that fact can be used as a metaphor for any characteristic that makes us self conscious. This interpretation will connect readers to the beast. The plot begins with Kyle taunting a girl named Kendra who plays the witchy role. When he fails Kendra's little test, she casts a spell on him. Kyle will look like the beast he is on the inside until he can find someone who will love him for him. Someone he loves as well. And he only has two years. The modernized tale follows the well known story pretty closely and is easy to enjoy. With relatable characters, fairy tale situations, internal struggle, and a happily ever after, Beastly won't disappoint.